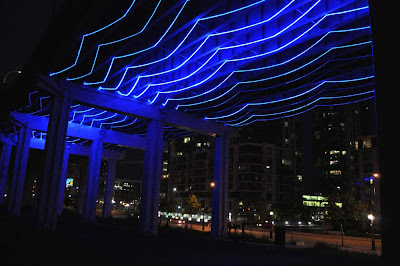 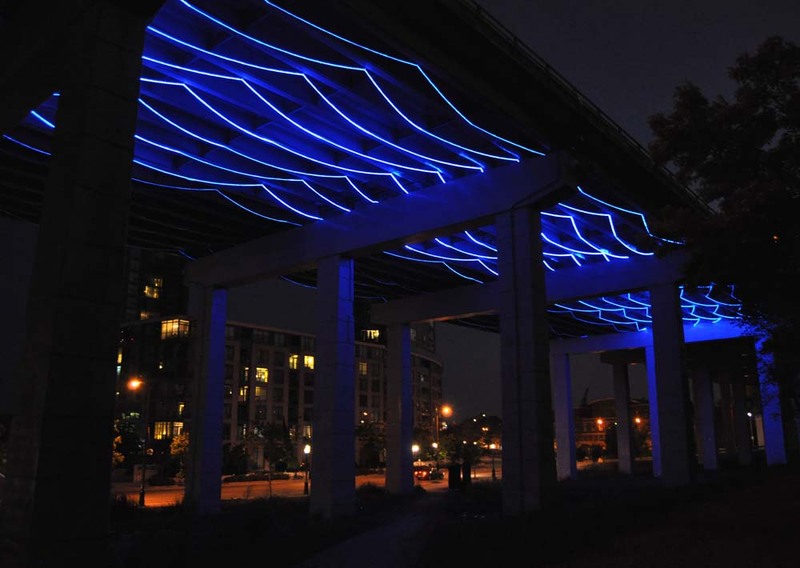 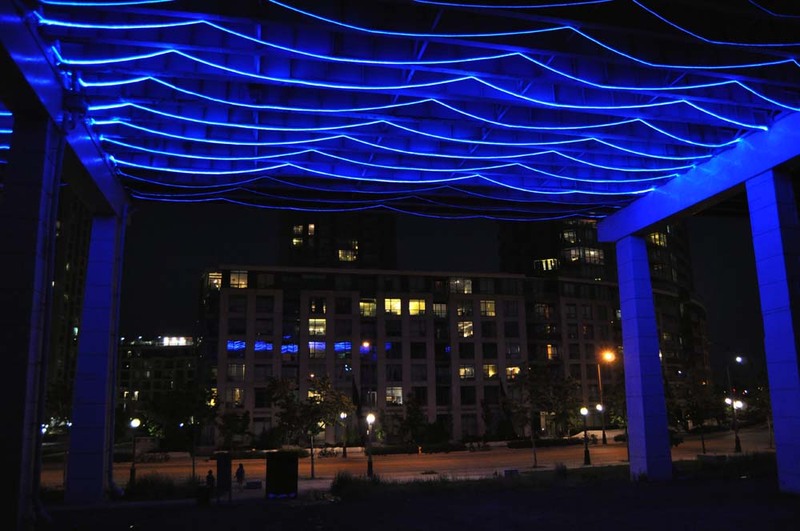 It's been awhile since I have the #Toronto art installation Watertable by @FortYork under the Gardiner Expressway. 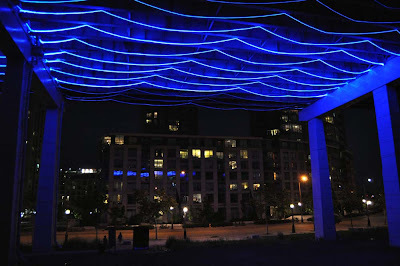 In fact I thought the blue neon wave was only temporary and was removed some time ago. 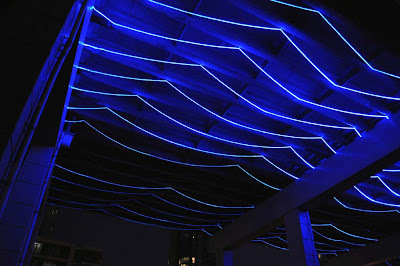 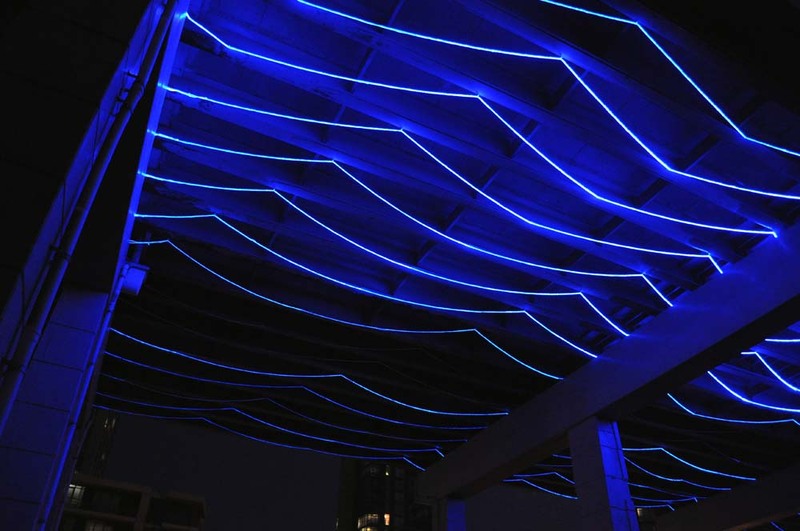 Wrong, the vibrant blue waves of neon still light up the underside of the elevated highway. 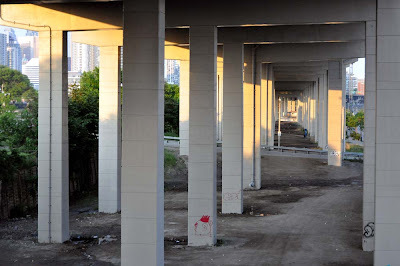 Like many commuters I have driven over this section of road many times - and I didn't see any evidence of the art that it was easy to think it had been removed. 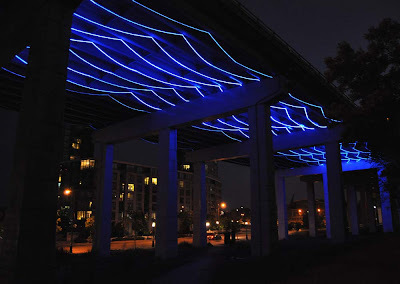 In forty years you won't just have to worry about chunks of concrete falling from the highway - you will also have to worry about blue neon conking you on your head.